What a gem! 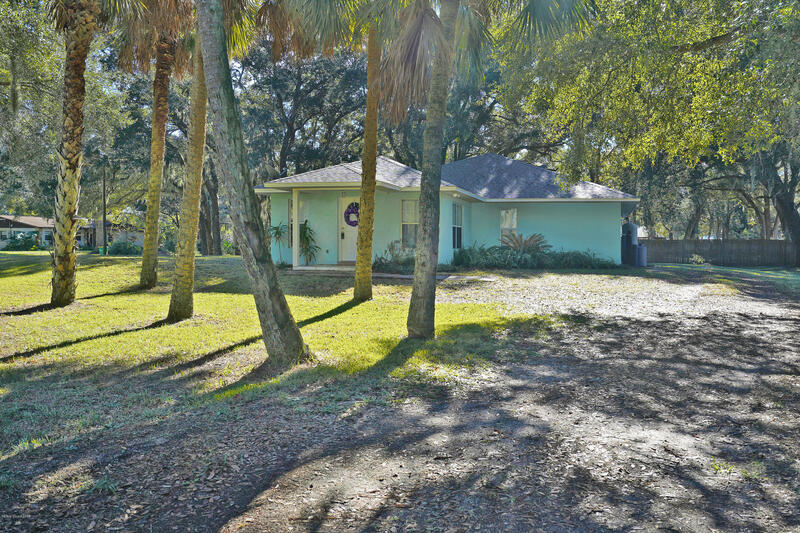 This home sits on a HALF ACRE, CORNER LOT with beautiful oak trees in back and palm trees in front of the property. The home features NEW AIR CONDITIONER (2018), NEW ROOF (2018), two large bedrooms, a spacious laundry room, tile throughout and lots of windows. The kitchen has stainless steel appliances and a breakfast bar. All rooms are large and you'll find lots of closets throughout. You'll love spending time outside with various wildlife and an orange grove across the street. The shed outside is handy for lawn equipment and there's plenty of room to put in a pool. Won't last!